Has LG Electronics just out-Samsunged Samsung? On Tuesday, the smaller of the two fierce rivals of Korean consumer electronics took the wraps off the G3, the successor to its highly regarded G2, which it released in 2013. In at least one respect, LG has leapt ahead of its bigger rival: the G3’s 5,5-inch display is 2K resolution — that 2 560×1 440 pixels, or 3,7m pixels, almost double the resolution of Samsung’s flagship Galaxy S5 and reportedly the highest pixel density ever delivered on a mobile device. The quad-HD display has a pixel density of 538ppi. An inspection of the new phone at the London launch event shows the screen is indeed noticeably sharper and crisper, with greater clarity. LG claims the new handset has realistic colour reproduction with adaptive frame rates, which means less power consumption. 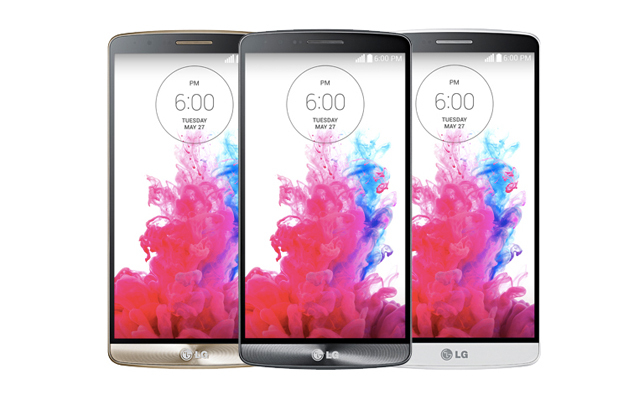 The company says its design ethos with the G3 was one of simplicity. Marshall says consumers want advanced technology in their phones but don’t want that to mean complexity. “Simple is the new smart” is the company’s new maxim. The new handset is more streamlined and, like the G2, has no buttons on the front and sides (the power/wake button hidden at the rear). LG says it has “hidden curves”, the result of “countless tests” to find the “right radius” for a handset of its size. It claims the device is now more comfortable to hold. The height of the rear button — a controversial design decision in the G2 — has been “optimised”. 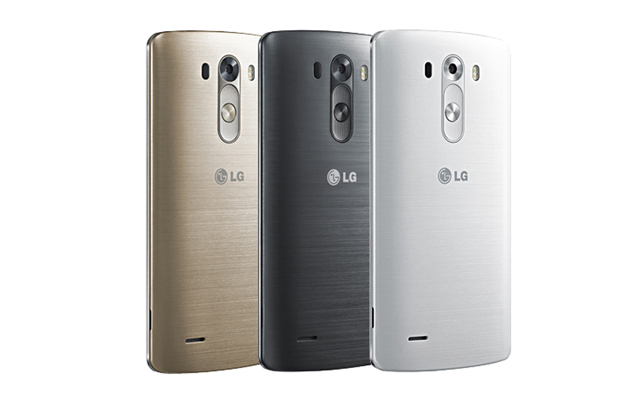 Although the G2 has a very good camera, LG has made big improvements with the G3’s 13-megapixel shooter. It has a laser autofocus feature, which makes it noticeably faster to focus on a subject. The company claims the technology is a first for smartphones. LG has made changes to the way pictures are taken, too, so instead of touching the area to focus before taking the picture, the user simply touches the area of desired focus and the picture is taken immediately (that’s not unique to LG, but it’s an improvement on the G2). The G3 also has improved optical image stabilisation technology — 20% better, apparently — to help ensure photos are more likely to be free of blur. The front-facing “selfie” camera now has additional sensors. Waving a hand in front of it takes a picture following a three-second countdown. Audio quality has also been improved, offering higher quality for calls, music and movies. An improved microphone means the handset is able to assess ambient noise levels and adjust the settings accordingly for better sound recording. The G3 is powered by a 2,5GHz quad-core Qualcomm Snapdragon 801 processor, 3GB of RAM, 32GB of memory (expandable up to 128GB via microSD) and has a 3 000mAh battery, which is now removable. The device weighs 149g, runs Android KitKat 4.4.2, has 4G/LTE (with support for the 800MHz, 1,8GHz and 2,6GHz bands), Wi-Fi, Bluetooth 4.0 and near-field communication support. A new on-screen keyboard is designed to improve usability, with its size also customisable by dragging it with a finger. Android users moving to the G3 may prefer to continue with SwiftKey’s excellent keyboard, of course. There’s also a new “Smart Notice” feature that learns user behaviour patterns over time to make better recommendations — for example, reminding the G3’s owner to take an umbrella if rain is in the forecast. A “Smart Security” feature provides an improved content lock to keep personal files hidden when sharing the handset with friends. There’s also a “kill switch”, which disables the handset remotely if it has been stolen. 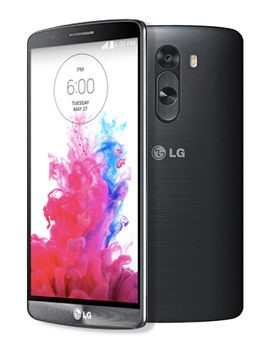 Technology analyst Steven Ambrose of StrategyWorx says the key takeaway for him with the G3 is the way LG has focused on the user experience rather than simply adding all the latest bells and whistles — though none of the latter have been ignored on the G3. “The use of an ultra-high-definition screen sets the G3 apart from every other device currently available,” Ambrose says. The G3 should prove to be formidable competition to other premium phones because it matches and in some cases exceeds the best in design and build, says Ambrose.